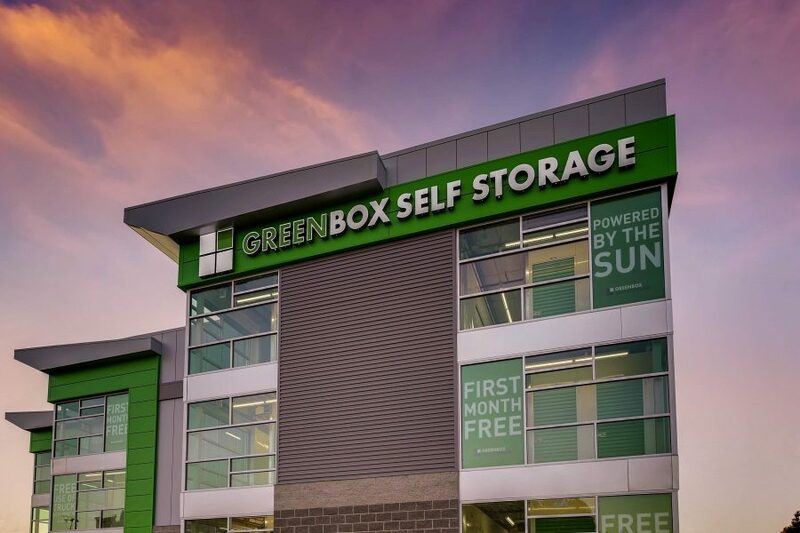 The newest location of Greenbox Self Storage is located in the Denver South suburb of Centennial, CO. The 113,000 square-foot development houses 957 storage units on four floors with units ranging from 5×5 feet up to 10×30 feet. The facility is powered by a 650 solar panel array atop the building, producing enough carbon-free electricity to power approximately 30 homes each year. In addition to solar panels, the facility uses motion-activated LED lighting, 26 closed-circuit video surveillance cameras, computerized keypad access, individual door alarms, and more. For more information on Greenbox in Centennial, visit the website here.